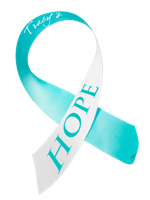 Cervical cancer accounts for one of the most common forms of cancer occurring in women. Cervical dysplasia is a state of abnormal cell growth which can appear on the outside of the cervix. The length of time the growth has been there and its cause can determine the level or stage of cellular growth. This can be measured microscopically with a pap test. This test can determine if there are any abnormal cells growing on the cervix and can also assess the risk based upon the stage of dysplasia. This topic is so important because having abnormal cell growth is a direct risk of developing cervical cancer. The risks of developing cervical dysplasia are higher if there has been a previous infection with HPV, herpes type 2, smoking, or recurrent oral contraceptive use. Of all the causes, the human papillomavirus infection accounts for the majority of the cases. The virus is transmitted sexually and there are few symptoms to indicate an infection. Other than a pap test, abnormal cells can also be detected by the topical application of vinegar. Vinegar contains acetic acid which coats the cervix and can selectively demonstrate abnormal cellular areas on the cervix. This low-cost screening method is currently being used in India to help save many lives from the ravages of cervical cancer. Vitamin C is very important in the repair and maintenance of damaged cervical cells and it is a very potent free radical scavenger. Vitamin C can also help the immune system fight the viruses in the cervical cells and encourage collagen synthesis to help heal cervical lesions. I recommend taking a supplement containing 500 milligrams (mg) of vitamin C three times per day in conjunction with a diet high in citrus foods, broccoli, and bell peppers. Folic acid is a B vitamin which is deficient in women who are smoking, taking contraceptives, and who demonstrate abnormal pap smears. Folic acid is required for the development of normal cells and cellular division. It is also a free radical scavenger which can protect the cervical cells from damage. Folic acid is found in a wide variety of foods including green leafy vegetables, nuts, seeds, legumes, and whole grains. Supplements containing folic acid can be taken by women at risk of cervical dysplasia at a dose of two to three mg per day. For women who have milder forms of cervical dysplasia, I recommend a daily dosage of 10 mg.
Carotenoids are the colorful chemicals found in yellow and red vegetables and fruit. These pigmented compounds, like beta-carotene, are potent free radical scavengers which help protect the cervical cells from the continued damage attributed to chronic inflammation. Along with vitamin C, beta-carotene provides antioxidant protection to the cervical cells which are constantly exposed to free radical damage. These two nutrients I have grouped together because they work together in the formation of certain enzymes which can decrease free radical generation in cells, the most important of which is glutathione peroxidase, a very potent free radical scavenger and antioxidant. Foods containing larger amounts of selenium include nuts, fish, seafood, fowl, and beef. Vitamin E can be found in plant vegetable oils, nuts, seeds, and green leafy vegetables. Supplements containing 200 micrograms (mcg) of selenium and 400 IU of vitamin E can be safely consumed daily. Abike, F., et al., “Human papilloma virus persistence and neopterin, folate and homocysteine levels in cervical dysplasias,” Arch Gynecol Obstet. July 2011; 284(1):209-14. Hwang, J.H., et al., “Dietary supplements reduce the risk of cervical intraepithelial neoplasia,” Int J Gynecol Cancer. April 2010; 20(3): 398-403.